You will be assisting our product manager and a team of developers to create exciting new products and improve our existing platform. 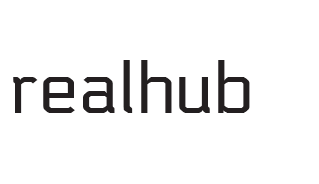 You will learn and understand the Realhub platform and help our customers to succeed in their daily work. Your work will help customers achieve their goals in less time and with less effort. We are building a professional, business to business platform that assists real estate agencies across Australia to complete real estate marketing actions. You will work full-time in our office in Brookvale on Sydney's Northern Beaches. We are an Australian based, young and enthusiastic digital technology team in a rapidly growing company looking for a new user interface/user experience designer based locally on the Northern Beaches. Our business offers marketing production and business process assistance to the fast paced real estate industry. The job is at times dynamic and high-energy, we require a motivated fast worker with great communication skills. If you are someone who likes to work in a team, is motivated to make great products and help people you will fit in well. You have a level head, and you're a self starter with strong listening skills and an empathetic nature. You have experience crafting user interfaces for web and mobile applications. You have deep understanding of using Sketch, Adobe Creative Suite and other user interface focused products. You are organised and able to undertake large tasks without micromanagement and intervention. You understand the necessity for speed, rapid prototyping and delivery as well as continuous improvement. You have the ability to think critically and construct solutions for complex problems. Experience in web design, user interface design, psychology and user experience work. We are strong supporters of equal opportunity and hire purely based on experience and how appropriate the application is for the role. You'll be working with a close group of young, friendly people and grow with us, guiding our creative process through our growth. We love working here, and you'll have the opportunity tackle on more senior roles with our growth. Your decisions and opinions will have a direct and noticeable impact on the company and our customers success. Does this sound like a position you'd be interested in? We would love to speak further if this sounds like your calling. To talk to us further, apply now and send an up to date copy of your resume.